Peridot is a glittering green colored gemstone from the olivine minerals. 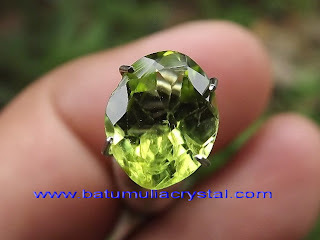 Peridot is often called as Olivine. It is also becoming the Emerald of the poor people, because of its cheap price, but it has good luster as lustrous as Emerald Beryl. On the ancient time, the green Peridot was recognized as Emerald. Some archeologist suspected that many Cleopatra’s Emeralds are actually Peridots. It is the birthstone of those who was born on August. It was said that this green Olivine minerals will bring peace and success to the owner. 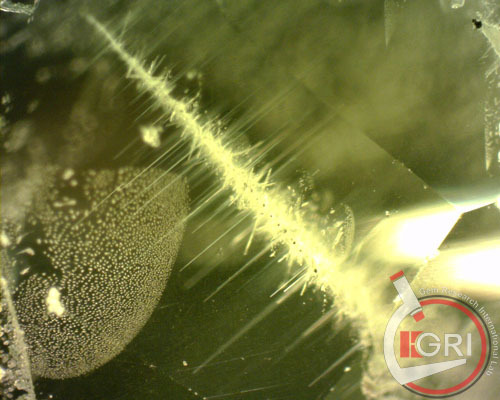 There are abundant amounts of Olivine minerals in the world. 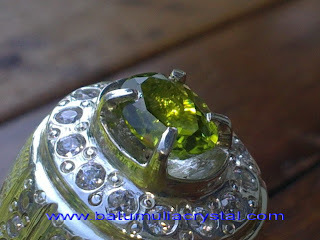 However, good qualities Peridots, with more than 10 carat on weight, are very rare. Peridot is the gemstones that mostly found in one color that is green. The range of its green color is start from light yellow-green to olive green, and the darkest one is the brownish green. Peridot has unique characteristics. 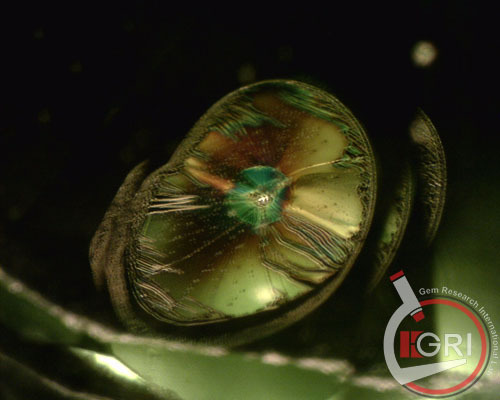 It has lilypad Halo inclusions, but mostly Peridot will have clean loupe clarity. The source of Peridots are USA, Burma, China, and Pakistan. 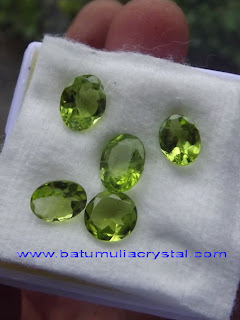 The best quality Peridots are mostly found in Mogok, Burma. Today, USA becomes the biggest producer of Peridot because of its massive mining on Arizona.